A detox bath is a way to help cleanse the body, relax the mind, and provide extra support to various systems of the body. There are different types of detox baths that you can take, each with their own goal and benefits provided. Some of them are pretty classic, others are baths you might not have heard about before. Try one of these detox baths the next time you need to unwind from a long day. 1. Sea Salt Detox Bath– A salt bath is one of the oldest baths out there, and has been used for decades to help people relax. Many reports claim that salt can help draw toxins out of the body; however, there is no research to prove this. 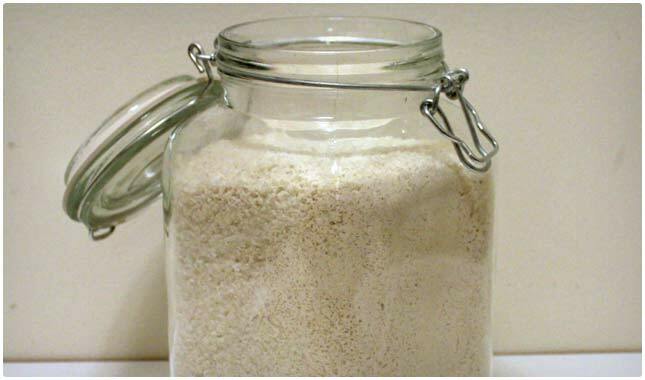 This recipe uses sea salt, so you are getting all natural salt and not the kind that is iodized and sold in bulk in cylindrical containers. It also includes ginger, which has lots of anti-inflammatory properties to help improve skin health. 2. Essential Oils Detox Bath– You can turn a bath into a sensory sensation just by adding some essential oils to it. The great part is that you can be very strategic with this and include oils based on what you’re problem du jour is. Research shows that lavender essential oil has been shown to help you fight anxiety and depression, so this is a great one to add to your bath when you’re stressed. You can also combine essential oils with sea salt for an even more relaxing experience. Here are some other essential oils that help detox the body. 3. Hydrogen Peroxide Detox Bath– Also referred to as an oxygen detox bath, the use of hydrogen peroxide in your bath helps you get rid of herms. It is antibacterial and antiviral, which makes it a great bath to take if you’ve been around a large group of people, have traveled by bus, train, or plane that day, or otherwise have been subjected to a situation that provided plenty of chance of getting infected. The recommended soaking time is a half hour, so enjoy and don’t forget to calm the mind while you’re in there. 4. 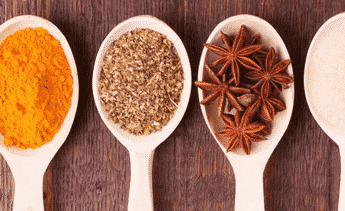 Ginger Detox Bath– Ginger is a root that has plenty of healthy properties when you eat it, but it can also be used in other ways to help the body, like making a ginger bath. They say you can use different forms of it, either grating fresh ginger into the bath or sprinkling in some ginger powder. The author of the recipe says that it’s a way to get the body to sweat a lot more and get an extra amount of toxins out, similar to taking a sauna or sitting in a steam room, but there is no evidence to prove this. 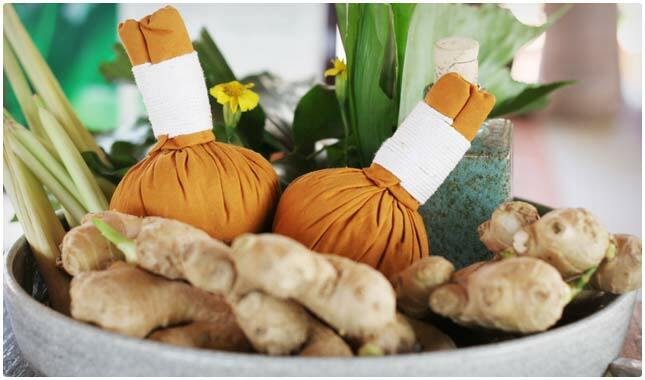 Still, you can enjoy ginger for its soothing antioxidant and anti-inflammatory benefits. 5. Baking Soda Detox– Did you know that common baking soda, the kind you might keep in your fridge to absorb the odors, can also be used as a detoxing device? One study found that baking soda can help pull uranium out of rats, which is good news for anyone looking to purge toxins from their body. It’s been said that this bath can help you de-stress. It’s important to look at stress as a toxic condition, and to look at ways of relaxing as a way to detox the body. The scientific way of referring to baking soda is sodium bicarbonate, and it’s great for neutralizing the chlorine that’s been added to most city water sources. It’s hard to detox in a bath that is full of a toxic chemical, so it’s good that this makes it naturally cleaner. 6. Bentonite Clay Detox Bath– Bentonite clay is a clay that is made out of aged volcanic ash. Research shows that it contains anti-bacterial properties, which makes it a great addition to a detox bath. It has also been shown to contain detoxing properties. Heavy metals can enter the body through any number of ways, and chances are if you haven’t cleansed your body of them yet, you have accumulated them over the years. The most common way is just by drinking water than hasn’t been properly filtered. Other ways are through dental work, eating foods that have been treated with certain chemicals, and much more. That’s why it’s important to do a regular detox. 7. Seaweed Detox Bath– This uses a special mix of kelp, essential oils, and Epsom salt to create a bath like you probably haven’t had before. It also contains dried dulse, which is a red seaweed that has powerful antioxidant benefits. The instructions are easy enough to follow, and 20 to 30 minutes later you’ll be all done. This package takes the guesswork out of what should go into your bath, and makes it really easy to just dump it in, mix it up, and hop in for a good detoxifying soak. 8. Epsom Salt Detox– Epsom salts are great to have around the house because they have many uses when it comes to your health. One of those is to put them in the bath with you so that you can relax. 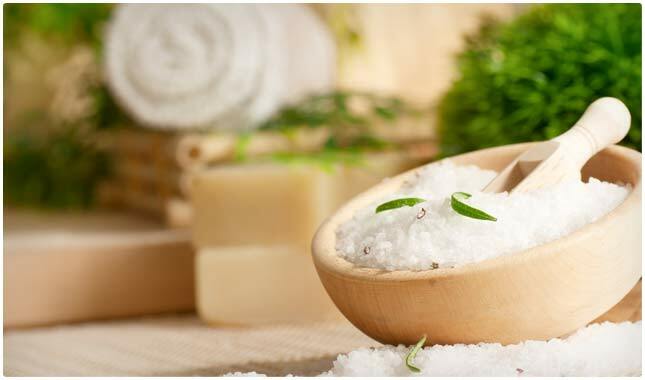 Epsom salt is said to be able to help with the circulatory system as well as improving nerve functions. Taking a regular Epsom salt bath is a relatively easy and painless way to improve your health and well-being. Here’s an easy step by step on how to draw a bath relying mostly on Epsom salts. 9. Apple Cider Vinegar Detox Bath– If you’re not familiar with the benefits of apple cider vinegar, it’s important to take the time to learn about what it can do for you, both taken internally, and used externally to treat a number of conditions. Research shows that apple cider vinegar contains antibacterial properties. It is often used as a weight-loss remedy. This is a good bath to take if you feel you need to improve your skin health, and also if you want to make sure that you get to sleep without lying awake with a wandering mind. 10. Magnetic Clay Detox Bath– Here’s a special clay that is said to be magnetized so that it draws certain things from your body. The great part about these clays is that you can use them to improve certain conditions, like having excessive amounts of mercury in your body, or things like arsenic and aluminum. Each one is specially formulated to treat that specific material but keep in mind that there is currently no research to prove these claims. try adding some to your next detox bath and check in to see how you feel after 20 or 30 minutes of soaking. Do detox baths work for colds? Some detox baths are designed to fight off a cold when taken at the first signs and symptoms, but there is no research to prove that it works. If you’ve already got a cold there’s no harm in taking a detox bath as it may help with the immediate symptoms you’re struggling with. But we recommend sticking with vitamin C and zinc tablets if you really want to reduce the duration of your cold! Do detox baths burn calories? Even though you’ll likely notice that you’re sweating more while taking a detox bath, and that you sweat for up to several hours after taking the bath, there’s no indication that you are helping to burn calories the way that you do when doing cardio for fitness. If you find yourself sweating a lot, this is likely water weight and you’ll want to replace it as quickly as possible. Most detox baths that we’ve evaluated appear to be safe, and there are very few contraindications to taking them. If you have a specific concern about a particular bath it’s always a good idea to run it past your doctor before trying it. Ingredients like clays, essential oils, and salts are generally safe when not done in access. What are the benefits of detox baths? The benefits of a detox bath vary. Some are geared towards drawing out toxic heavy metals. Others are designed to get you to sweat excessively so that you can get other toxins out of your body. Some use aromatherapy to help relax the mind and detox you by helping to release toxic thought patterns. Keep in mind that there is very limited research on the topic of detox baths, so the benefits are not proven. Overall, you simply feel better after taking a detox bath, and the added ingredients make it more effective than simply taking a regular bath. Will a hot bath help to detox? A hot bath can help to open your pores and get you to sweat, which may help the detoxifying process slightly. Hot water also helps dissolve the oils and clays you are putting in. Hot water can also be very relaxing, so that’s why it’s recommended for detox baths. Do detox baths help you lose weight? Detoxing in general can be a catalyst for weight loss, especially if you have large accumulations of body waste stored up, and if you use the detox process to establish a better eating habits or to start a diet program. But there is no research to show that a detox bath can help you lose weight. Do detox baths help with acne? Taking a hot detox bath will cause steam to rise to your face and open your pores. Opening your pores in this manner will set the stage for further cleansing with an exfoliator or other acne product. Can a detox bath help with digestion? Compared to a detox program, a detox bath doesn’t do as much for your digestion, but if you are very stressed, you could be bound up. Relaxing in a detox bath can help relaxing your digestive organs and muscles and allow for better regularity. To accentuate the effect, you can gently rub your stomach while in the bath in a clockwise direction. How often should you take a detox bath? The beauty of a detox bath is that you can take it whenever you want and whenever you feel like you need one. You forgot to mention Louis Kuhne’s Detox Bath. The great thing about this bath is that it uses only water, no salt, vinegar or ginger needed… Have you ever tried it? Very helpful, perhaps I would like info for detox while quitting drinking! I’m drinking lots of water and eating lots of green veggies and infusion of vitamin water. I did the sea salt bath and I feel lighter already! I thank you. 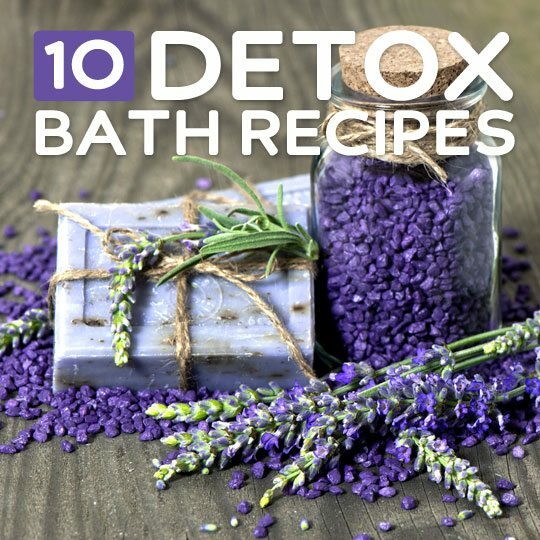 When taking a detoxing bath how much of the detox ingredient should be mixed in the bath and can more than one ingredient be used in together? During a detox bath, are you soaking or washing? Are you supposed to shower after? Soaking. Adding body wash, etc to the water can cancel out the effects of the detox bath. I bathe after because I sweat a lot during the detox bath. I love your idea of using a sea shell as a scoop too. It looks so relaxing. It would be easier to differentiate them if they have the same color as the oils used. I have taken 3 baking soda and epsom salt baths and notice have been breaking out all over my chest and stomach. Is this the cause of the detox or should i look into this further. I have never had breakout on my my chest and stomach before. Coconut oil is a great ingredient to add. I also use coconut oil as a natural lotion and in my morning coffee. It’s great for both!